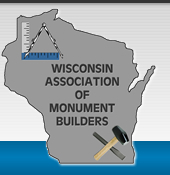 Wisconsin Association of Monument Builders believes that ethical practices are important for members to ensure that they practice to respect customers. 1. To maintain high standards and fair business practices in the sale and service of the products sold. 3. To seek success through fair remuneration and profit based on costs and service rendered. 4. To maintain accurate and true statements based upon known high standards of the memorial industry in all advertising, solicitations, and selling. 5. To execute and adhere to written agreements or guarantees pertaining to products sold. 6. To maintain adequate facilities for proper inspection and servicing of all products before and after delivery to the cemetery. 7. To remember that in promoting my own business, it is not necessary to reflect on others. 8. To refrain from untimely solicitations. 9. To discourage attempts to enter any field of memorialization service by casual or part time representatives who may lack the moral courage or the requisite training and equipment to uphold a high standard for this honored tradition. 10. 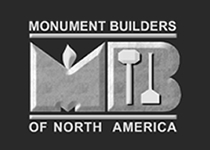 To actively support our state and national Monument Builders Associations. 11. To patronize whenever possible those whose ethics agree with our own.